Politicians called the port and the airport a white elephant project, for political gains without having any knowledge about the strategic location of these projects. It is obvious that the geographical position of the port will play a vital role in determining the volume and types of cargo which can be handled in the port. The reason why a port has been chosen for the handling of certain traffic or for a new investment is because of what the port can offer. The investor knows every aspect of the port in the nautical, technical as well as in commercial fields. The Chinese knew the value from the very beginning that this location of the port could be transformed into profitable ventures. Having criticised the previous regime, the current government or Sri Lanka Ports Authority, Airport Authority of Sri Lanka did not have a strategic marketing and a development plan to make the port and the airport a profitable venture last two years which resulted in selling 80 per cent of the port. The Hambantota port, geographically located in the world’s busiest shipping routes between the East and the West and Mattala airport located just 20 minutes away by bonded trucking route from the port, is an ideal location for a sea/air hub and a Free Trade Zone (FTZ) which is very similar to Jebel Ali port Free zone and Dubai World Centre (DWC) airport in Dubai, UAE. Today Dubai’s success is thriving on being a significant player in the international trading and transport logistics. The Sri Lankan government should have initiated a strategy with the private sector in developing the port and an industrial zone. Hambantota is an ideal location for a special economic zone, distribution, bunkering, inner anchorage services and a sea-air multi-model transport hub and containerisation with a cost effective transport mode that provides considerable savings in transit time and freight cost than Dubai. 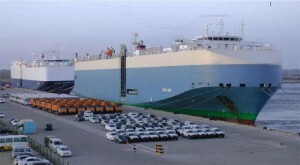 With the Chinese investment, Hambantota would be the future port in Sri Lanka as most ships may dock in Hambantota. Mattala Airport, development of the express way to Hambantota, development of railway to Hambantota (government should fast track these express way and railway project) will create a freight corridor which is a powerful proposition for a logistics hub well into the future. Airports are now key nodes in global economy, serving as engines of local economic development. In short these two port and the airport development should go hand in hand for sustainable smart growth in Hambantota. (The writer is a shipping logistics professional based in Dubai.